Estelle Luong doesn’t get as nervous performing at Carnegie Hall as she used to. “As I play, I focus on the piece I’m playing and how I can create a connection with the audience,” she says. The 17-year-old Boston resident is part of The Conservatory Program at The Rivers School. She has performed at the New York landmark nine times, most recently on January 19. 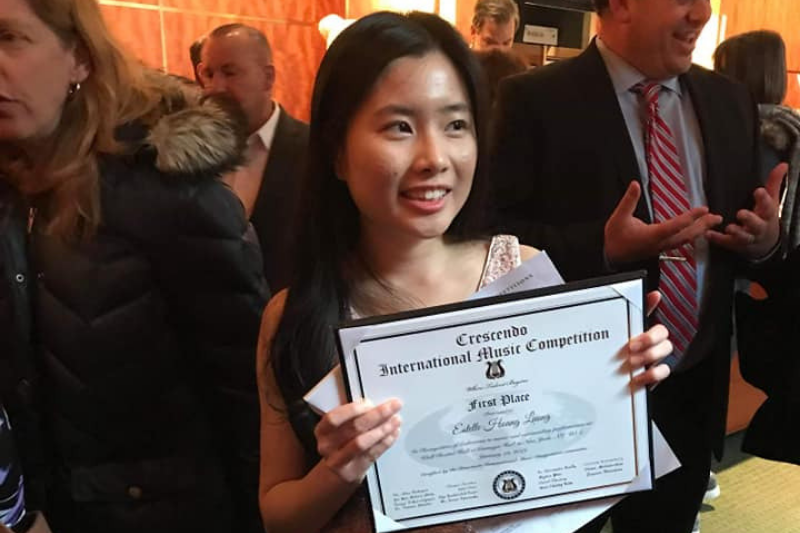 Her piano performance was in recognition of her winning the Crescendo International Competition. 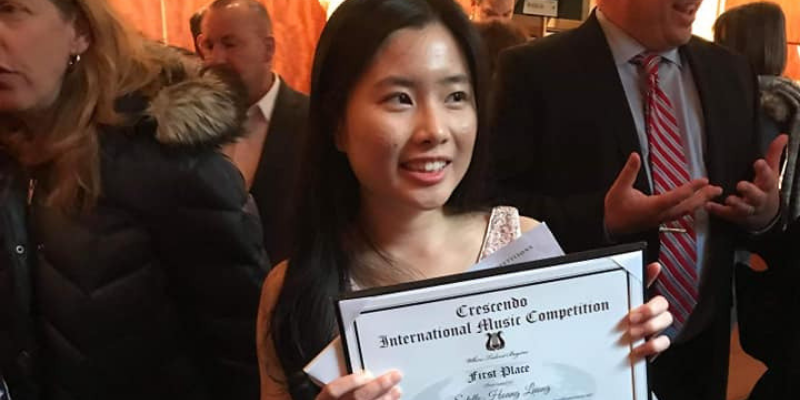 Her high score qualified her to exclusively participate in Crescendo’s international student exchange program in either Vienna, Austria or Osaka, Japan next summer. The Conservatory Program at The Rivers School is the main reason why Luong decided to attend The Rivers School starting in seventh grade. Luong says the program has given her opportunities that she might not have gotten if she was in a different program. “It garnered my interest in composing, which I never knew I had before and emphasized my unique talents,” she says. She is looking forward to hearing her first full orchestration being played by the chamber orchestra at the school’s Contemporary Music Seminar April 5-7. “It feels unreal because I don’t know many others who are given an opportunity like this.” She carries around a sketch book so she can capture ideas for her compositions when she gets them. Luong started playing piano when she was six years old. She received recognition at her former school for being a piano accompanist for the school’s winter and spring shows and loved the idea of being able to inspire others. “Some kids even told me they wanted to take lessons after hearing me play, “she says. Luong recommends that students of The Conservatory Program at The Rivers School take advantage of everything the program has to offer. She has taken many classes over the years including performance class, music composition, music theory, and music history as well as participating in chamber groups. The high school senior plans to go to Boston University in the fall.